British fashion designer Kim Jones has teamed up with Nike to help create a special-edition Mercurial Superfly 360 boot. Kim has previously worked on lines for Umbro, which were hugely popular, so we’re excited to see what the fashion designer has produced for the infamous Swoosh. 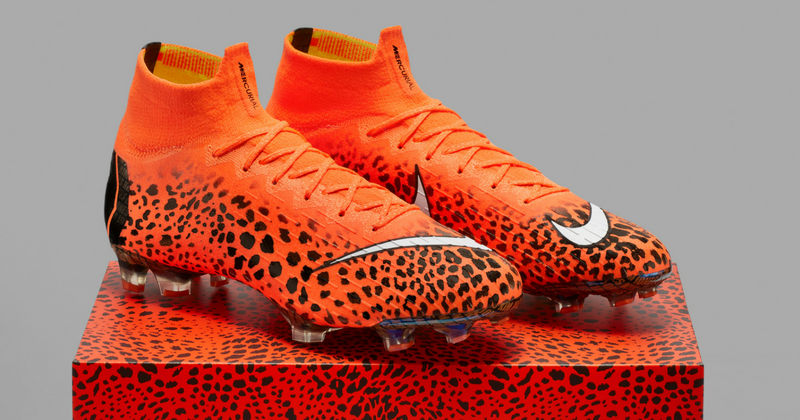 The boots are far and away the most adventurous design Nike have put their name to in a long time, as Kim Jones takes inspiration from his time in Africa and his admiration of the strength of animals. The new animal print is the perfect representation of speed - the cheetah being the fastest land animal on earth. Jones has kept the Mercurial Superfly 360 cleats predominantly neon orange and included the cheetah-inspired print over the top in jet black. The iconic Swoosh is solid-white with a black outline, giving a stark contrast to the energy going on in the rest of the design. His name also appears in the ‘M’ on the heel. There’s a new collaboration in town. The design stems from Jones’ belief in the power of sport, as well as his overall excitement for innovative fabrics and materials used in the design process. We all know that sport has the power to unite communities, but it also brings that sense of community to the rest of the world. We all now connect in life, on the field and digitally, and it all happens faster than ever before. Jones has incorporated both community and this speed into his new design, whilst also helping Nike create a great-looking cleat that people are going to want to get their hands on. Nike’s innovative boot tech are part of what appealed most to Kim Jones coming on board, “Fabric and material innovation start with performance,” he says. Finding the blend of super functional as well as visually stunning is the key to the Mercurial Superfly 360’s appeal. Cristiano Ronaldo will be rocking these new cleats against PSG on March 6 in the Champions League and they will go on sale at the Nike Store Paris Champs Elysees during halftime of that match. Do you think Kim Jones brings something new to the design of these stunning football boots, or is it a little too much for your taste? Let us know what you think in the comments!